Lightly battered chicken in sweet and sour sauce. Served with rice and spring roll. Spicy tuna roll and sliced fresh salmon on topped with scallions spicy mayo. Spicy tuna, cream cheese and avocado topped with fresh tuna, spicy mayo and crunches. 8 pieces of assorted sushi and California roll. Served with soup, salad with ginger dressing. Loved the food. The order came faster than expected and the service was great. I will be ordering and eating from here in the future. Absolutely amazing! Great food. Hot food was hot. Cold food was cold. Driver was on time and pleasant. Great experience. Very good! I had never eaten there before and needed delivery. It was perfect! Great sushi rolls that are a good size. Two will definitely full you up. I'm so glad these guys deliver. There is always a variety of food to choose from and it's always fast. My order has always been correct as well. 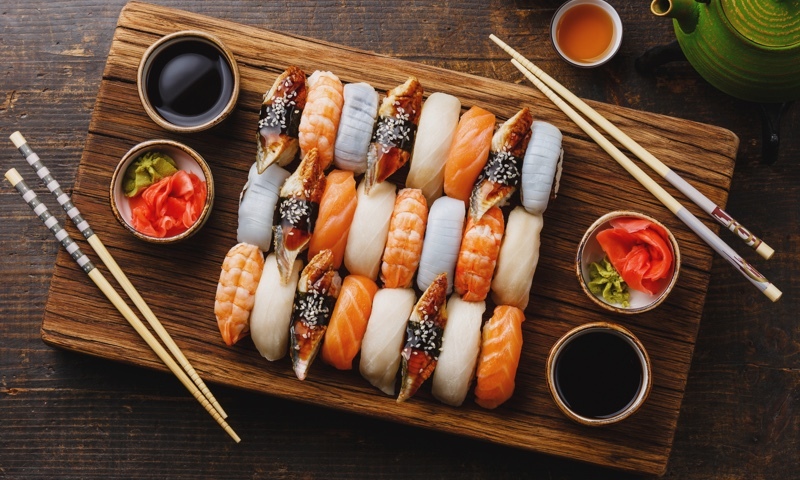 Whether you're craving a quick bite or looking to treat yourself to a delicious meal, you can now order your Cherry Sushi & Grill favorites for takeout or delivery.